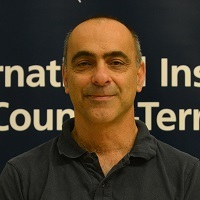 Mr. Shabtai Shoval is a Research Fellow at the International Institute for Counter-Terrorism (ICT). Shabtai served in Israeli counter terrorism related positions in the IDF and other security agencies since the 1980s. Shoval served in an elite unit; intelligence community; in the Israeli Embassy in Washington D.C.; and served as an advisor to the Prime Minister’s office. In the business world, Shoval was President of the Israeli Cable TV Association; a Vice President of Telrad Holdings, and CEO of Comverse (CMVT) division. Shoval experience in counter-terrorism strategies led him to develop bold concepts both in the academic and the technological arenas. Shoval has founded the Suspect Detection Systems LTD (SDS) - high-tech company which focuses on in Human Behavior Pattern Recognition and terrorist intent detection- www.sdscp.com. Lately Shoval published The Chosen - a novel which illustrates the challenges facing potentially nuclear Iran.